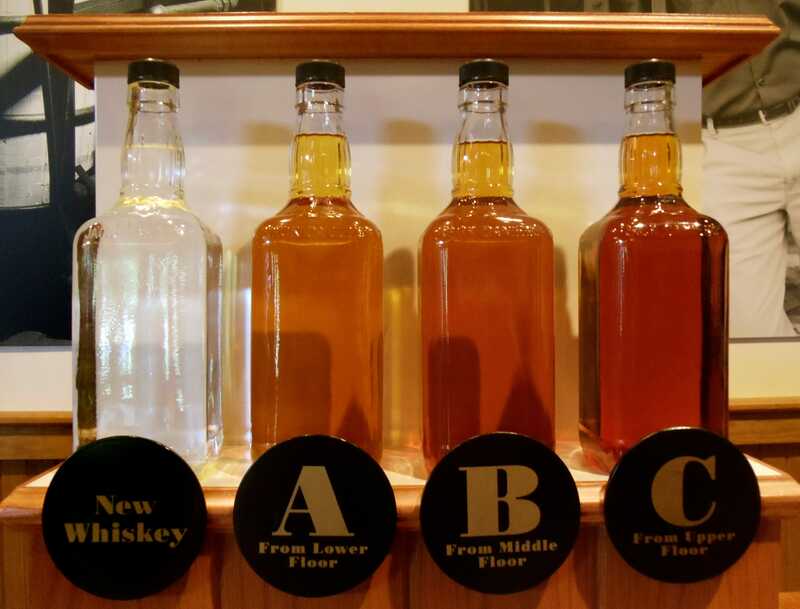 ReutersBottles showing the barrel ageing process are seen at the Jack Daniel’s distillery in Lynchburg, Tennessee May 10, 2011. Whiskey is not white, it is brown. That, to me, is part of its appeal. It is very clear that you are not drinking vodka when you drink whiskey, and vodka is for people who can’t drink. I’ve also recently been told that there’s this thing called “white whiskey.” It is whiskey, but it is not brown. I had to investigate. A quick search on the internet will tell you that liquor geeks are definitely talking about this stuff. It’s being stocked at bars in Brooklyn and craft distillers are giving it a shot. Some of the big brands are stepping in too. Jim Beam has a Jacob’s Ghost White Whiskey, and Pam Wiznitzer, a bartender at NYC’s premier bar The Dead Rabbit, said that Makers Mark has a white whiskey, but it’s not available in retail. So what the heck is white whiskey? To understand that, you’ve got to understand one simple thing about whiskey. It’s aged in barrels. That’s what gives it its colour and flavour. White whiskey is not aged. There are two kinds of white whiskey. There’s the completely unaged stuff, sometimes called “white dog” or (simply) moonshine. Then there’s a group of more flavour driven whiskeys — that’s where Jim Beam’s Jacob’s Ghost falls. They have a little something more added to them for taste. Tirone carries Death’s Door White Whiskey and Tuttletown Hudson Corn Whiskey at LCL. They don’t make a cocktail with it, customers just sip it neat. “The Gander downtown does a good drink with it but that’s the last good one I’ve had in a while,” said Tirone. The fact that good cocktails in this space are lacking isn’t that surprising. Over the course of all this reporting Business Insider picked up a bottle of the Jim Beam Jacob’s Ghost. That bottle is still pretty full. But one white whiskey, we thought, should not be allowed to represent all of them. So we headed to The Gander to try their cocktail, the Cold Toddy. It’s made with Earl Grey, honey, lemon, Amaro Montenegro, dandelion & BurdockBitters, and White Rye Whiskey. “I was pretty vehemently against the category,” said The Gander’s co-manager Jordan Lari. 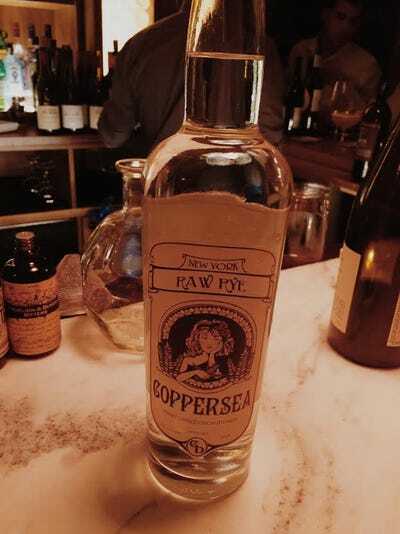 Then he found a product he liked — Coppersea’s White Rye Whiskey. It took him about five minutes to design a cocktail with it. Coppersea was “specifically crafting a product that is good, that just happens to be white whiskey,” said Lari. That’s what got him on board. Because here’s the deal — with craft distilleries being all the rage now, and cocktail culture on the upswing, every company that makes liquor is constantly coming up with new ways to get a bigger piece of the action. For one thing, that means big companies are marketing some of their brands as having a smaller, craft liquor vibe. It also means tapping into the biggest part of the liquor market — the vodka part. Clear liquors dominate sales, and in making a clear liquor, distillers think they can get Sorority girls who swear by vodka-sodas, mums who brunch and other clear liquor drinkers to try something new. Full disclosure, his cocktail — the Cold Toddy — was solid. But it didn’t give you that warm hug feeling whiskey gives you. That said, sometimes you don’t need a hug.